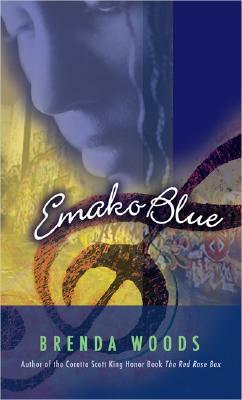 Emako Blue was supposed to be a star. She was beautiful and good-hearted. She was Monterey's best friend. She was the only girl Jamal cared about, the one who saw through his player act. She was the one who understood the burden of Eddie's family. She was the best singer anyone had ever heard, with a voice like vanilla incense, smoky and sweet. She was Savannah's rival, the one who wouldn't play by the rules. She was destined for greatness, already plucked from South Central Los Angeles by the record producers. She was only fifteen when she died. Brenda Woods (www.brendawoods.net) was born in Cincinnati, Ohio, raised in southern California, and attended California State University, Northridge. She is the award-winning author of several books for young readers: Coretta Scott King Honor winner The Red Rose Box, Saint Louis Armstrong Beach, VOYA Top Shelf Fiction selection Emako Blue, My Name is Sally Little Song, and A Star on the Hollywood Walk of Fame. Her numerous awards and honors include the Judy Lopez Memorial Award, FOCAL award, Pen Center USA’s Literary Award finalist, IRA Children’s Choice Young Adult Fiction Award, and ALA Quick Pick. She lives in the Los Angeles area.